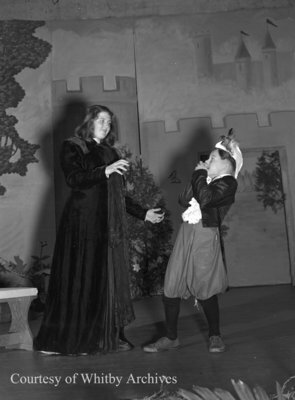 A black and white large format negative of two cast members on stage in the Junior Theatre's production of "A Cobbler in Fairyland". Junior Theatre, May 28, 1949, Marjorie Ruddy. Whitby Archives A2013_040_347.